A scientist at the University of Ulster is warning that a chemical used in the manufacture of plastic bottles can trigger toxins which lead to cancer. Professor Anna Soto said a parallel had been established between the use of bisphenol A (BPA) and the occurrence of mammary cancer in rats. 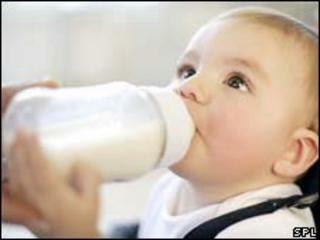 BPA is used in making strong plastics for a variety of items, including baby bottles, CDs and DVDs. The chemical has been banned or its use limited in Canada, France and Denmark. Professor Soto carried out her research with Professor Carlos Sonnenschein from Tufts University in Boston, USA. She discovered that foetal and neonatal exposure to the chemical increases the likelihood of development of malignant tumours later in life. Professor Soto said: "I would call for a banning of the use of BPA giving the growing evidence and increasing concerns that research has shown. "The foetal and neonatal life are crucial for a child's development and parents should consider the advantage of using BPA-free products."